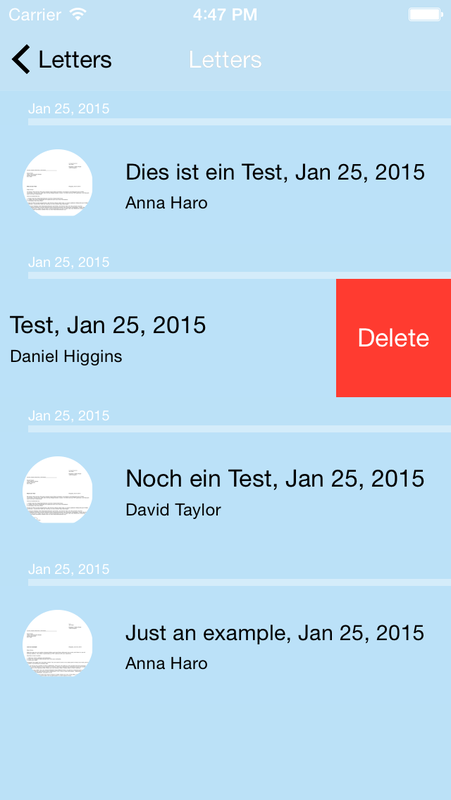 riting letters has never been this easy! 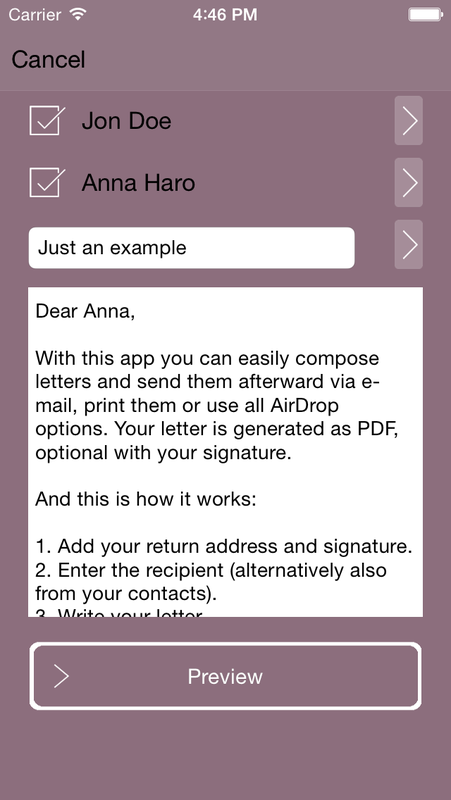 With this app you can easily compose letters and send them afterward via e-mail, print them or use all AirDrop options. 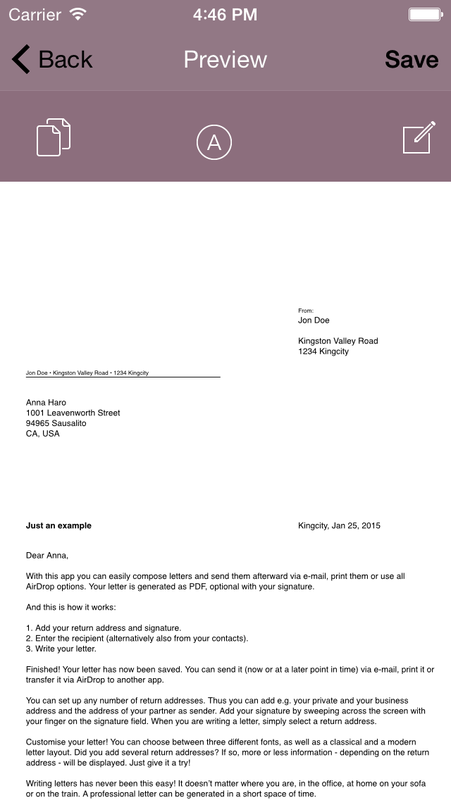 Your letter is generated as PDF, optional with your signature. 1. Add your return address and signature. 2. Enter the recipient (alternatively also from your contacts). Finished! Your letter has now been saved. 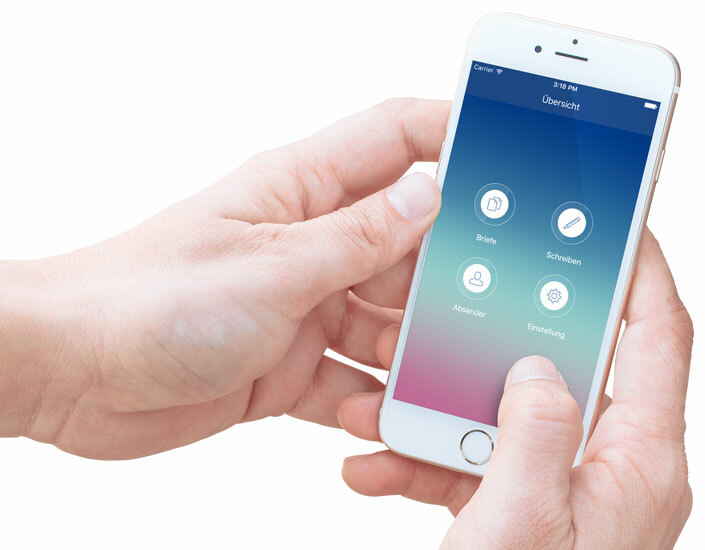 You can send it (now or at a later point in time) via e-mail, print it or transfer it via AirDrop to another app. 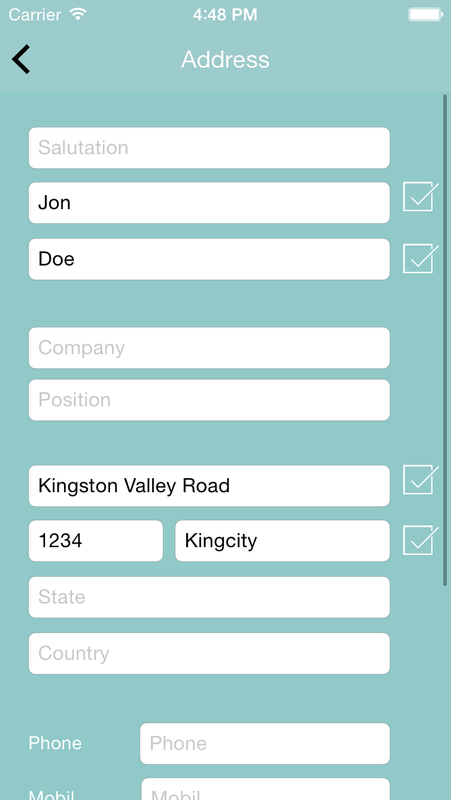 You can set up any number of return addresses. Thus you can add e.g. 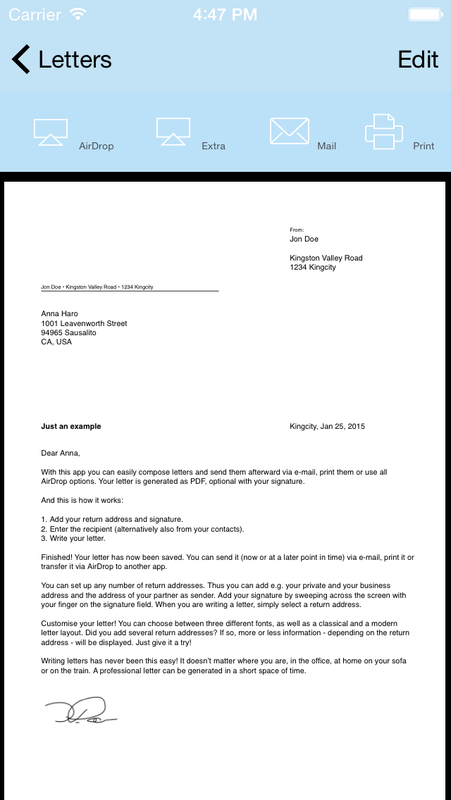 your private and your business address and the address of your partner as sender. 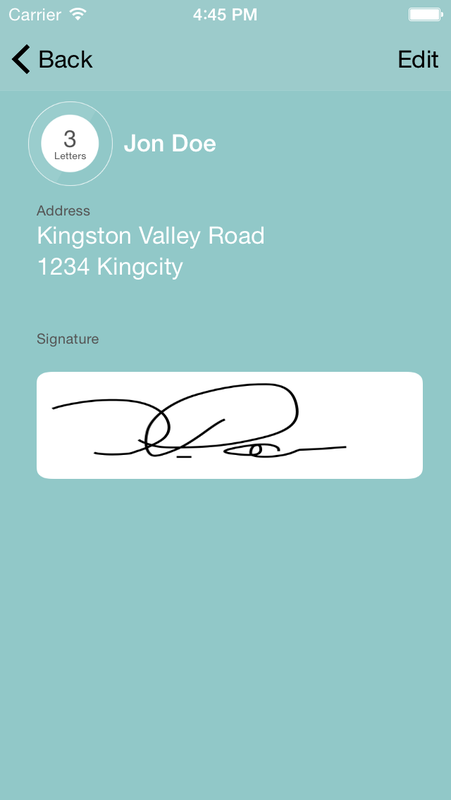 Add your signature by sweeping across the screen with your finger on the signature field. When you are writing a letter, simply select a return address. 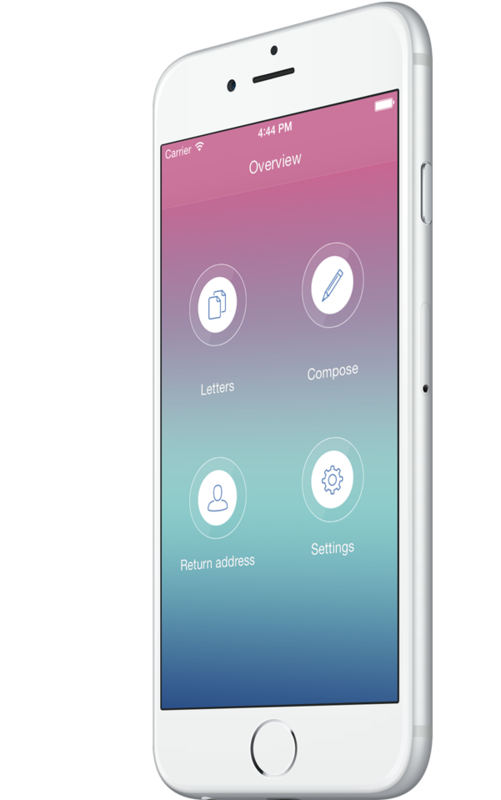 Customise your letter! You can choose between three different fonts, as well as a classical and a modern letter layout. Did you add several return addresses? If so, more or less information - depending on the return address - will be displayed. Just give it a try! 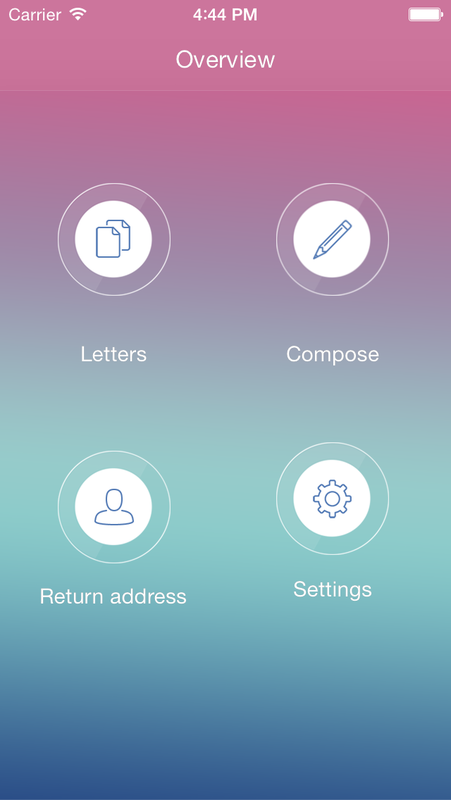 Writing letters has never been this easy! It doesn’t matter where you are, in the office, at home on your sofa or on the train. 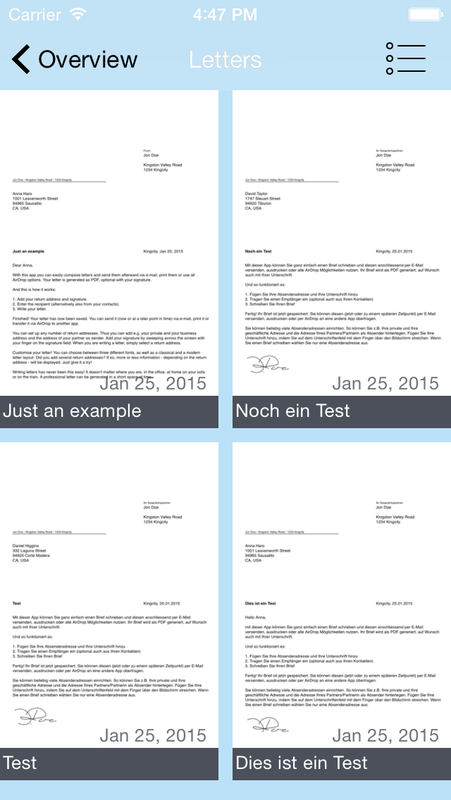 A professional letter can be generated in a short space of time.